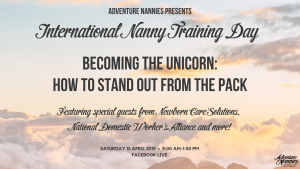 We are thrilled to announce Summit Session #4 which will take place on International Nanny Training Day in our private iNNTD Facebook group on April 13th at 9am (PST) 12pm (EST). For this months live stream, sponsored by Nannypalooza, we’re delighted to speak with Tonya Sakowicz from Newborn Care Solutions about how to leverage your experience and continuing education to excel in your career, then we’ll have a great discussion with the original Adventure Nanny and Adventure Nannies founder, Brandy Schultz, then we’ll touch base with Chelsea Miller from the Nanny Miller Agency to discuss the ins and outs of positive discipline. From there, we’ll meet up with Jacqui Orie from the National Domestic Workers Alliance to talk about the incredible film Roma, and its impact on the organizational efforts of domestic workers. Finally, we’ll conclude our wonderful event with the Adventure Nannies CEO, Shenandoah Davis, who will speak with us about how to stand out as a candidate for the right reasons. Adventure Nannies has partnered with various groups across the country in past International Nanny Training Days, and have been hard at work to design an online, interactive day for nannies across the world to be able to participate in iNNTD from wherever they are! This particular event was created to provide an opportunity for those nannies that are unable to attend in-person events due to illness or other personal situations to participate in an accessible, interactive, online International Nanny Training Day community. Please join Adventure Nannies, National Domestic Workers Alliance, Newborn Care Solutions, the Nanny Miller Agency, and our global nanny community in International Nanny Training Day and continue developing your childcare skills and knowledge while collaborating with a group of like-minded and passionate professionals. During this event, you can expect to learn about how you can leverage your experience + education to stand out from the pack and land your ultimate dream job in childcare. We are honored to have presenters from the National Domestic Workers Alliance, Newborn Care Solutions, the Nanny Miller Agency, (along with other amazing professionals) join us for an educational day of discussion. How: Participants will be invited to a closed Facebook group after RSVPing, where resources, schedule of speakers, icebreakers, and more will be offered in the weeks leading up to the event! During the day of the event, a series of workshops with live participation will be facilitated on the page through Facebook Live. The video will be available for reference and review 24/7 once the live stream has completed. Cost: $20.00 Scholarships are available, if you are unable to pay please reach out to danielle@adventurenannies.com to request scholarship information. Have you ever incorporated other educational philosophies into your best practices as a caretaker? We’d love to hear your experiences – reach out to us on Facebook, Instagram, and check out the other posts on the blog! 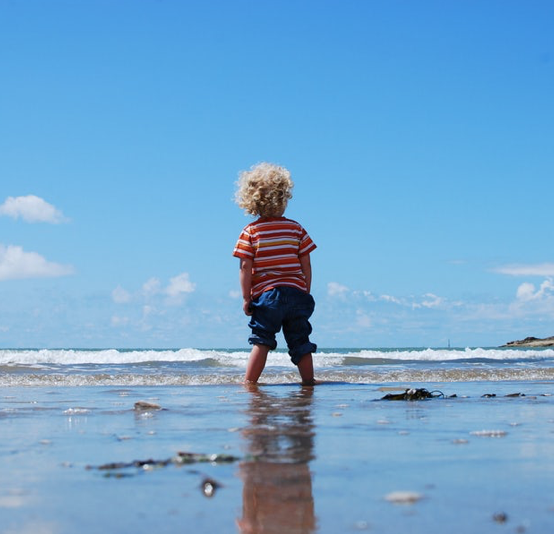 Are you looking for an exceptional nanny or private educator? Get in touch!